Meet Austin + Kat! Spring has officially sprung in Birmingham, AL and I truly could not be happier about it. Everything seems so much more alive when there's extra sunlight and the cherry blossom tree's are in full bloom. 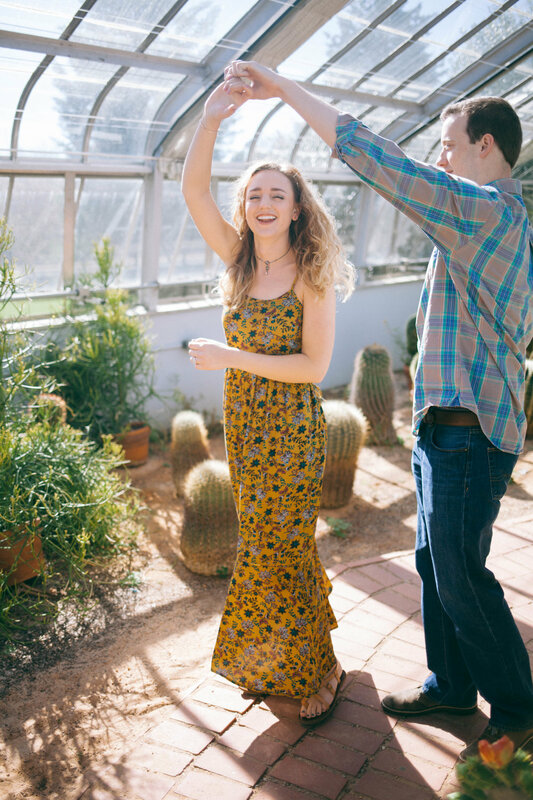 I was honored to spend the morning with Austin + Kat at the Birmingham Botanical Gardens. We drove over to their house after as well to take some snap shots of them in their little bungalow. It really was the sweetest morning. PLUS, how are they not the cutest? P.S I FINALLY GET TO POST THAT THEY ARE EXPECTING! HOORAY!